Surviving Adam Meade sounded like it would be a fun hate-to-love romance, and you guys know I'm all over that. I picked this one up with some high expectations, especially after reading a couple of rave reviews, but I never entirely clicked with the book. Let me get to the positives first. I enjoyed the high setting in Surviving Adam Meade. It's been a while since I have read a YA book that predominantly takes place in school. I thought Klare captured a lot of the high school feels I was missing here quite well. I also liked some of the new friendships that Claire forges in the book. Riley seemed to be a positive influence in her life and it was sweet seeing the two become friends despite Claire's initial wariness. As for the parts I didn't like? Pretty much everything else. I didn't think the characters were developed in Surviving Adam Meade. They were very one-dimensional and most of them were shallow. The main character, Claire, rubbed me the wrong way quite a bit. I never quite understood the reason for her constant attitude throughout the book. I normally like reading about prickly heroines, but I feel there needs to be some part of them that's redeemable and likable. I didn't find that with Clare. The love interest, Adam, also didn't particularly stand out to me. The romance between the two also did not work for me. I thought it was rushed. Typically I enjoy banter between my couples - I mean who doesn't? Here, the banter sometimes felt mean and toxic. When the two get together, I couldn't understand what they saw in each other. 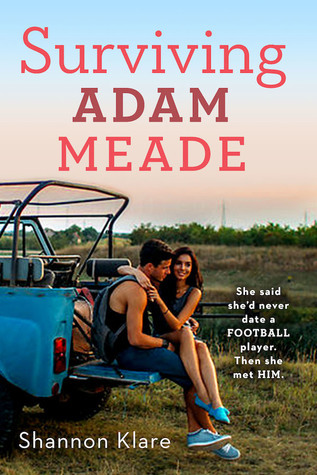 I wanted swoons and romance from Surviving Adam Meade and the book didn't deliver. In the end, this book was predictable and boring for me, with the writing almost coming across as fanfic style (which there's nothing wrong with, but it just was not what I wanted from Surviving Adam Meade). There's supposed to be another book in the series with the way the book ended and I won't be picking it up. Tamara Ireland Stone's books tend to be quietly powerful. Going into Little Do We Know, my expectations for the book were high, especially after how much I loved her previous books. 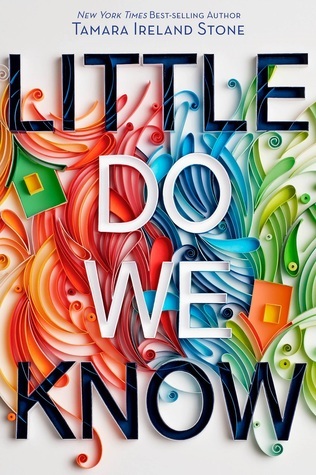 As with her other stories, Little Do We Know was a deeply emotional book about two teens finding growing up. If you're looking for a wonderful coming-of-age story, this one should be on your list. Growing up, Hannah and Emory were neighbors and inseparable best friends even though the two could not be more different. Something happened that tore the two apart and Little Do We Know tells the story of how they are living their lives after the fallout. Friendship was a strong theme in this book and it was done beautifully. Even when they were not physically in each other's lives, you could tell the influence that these two friends had on their lives and the decisions they made. It was obvious that these two were important to each other, so I was dying to figure out what caused them to go separate ways. I will say that the reason fell a little bit flat for me, but it was understandable. Like I mentioned, Hannah and Emory could not be more different and Tamara Ireland Stone did a wonderful job at fleshing out their characters. Hannah comes from a Christian background, with her pastor dad leading the Christian school that she attends. The religion has always been in every part of her life and she has always been a strong believer. In Little Do We Know, we begin to see Hannah question her faith. It was portrayed delicately and realistically, which was important to me. As the story progressed, we got to see Hannah grow and her individuality began to shine through. Emory didn't have any religious ties, but she was always kind and respectful to Hannah when they were friends, often times even lending her a support at her events. 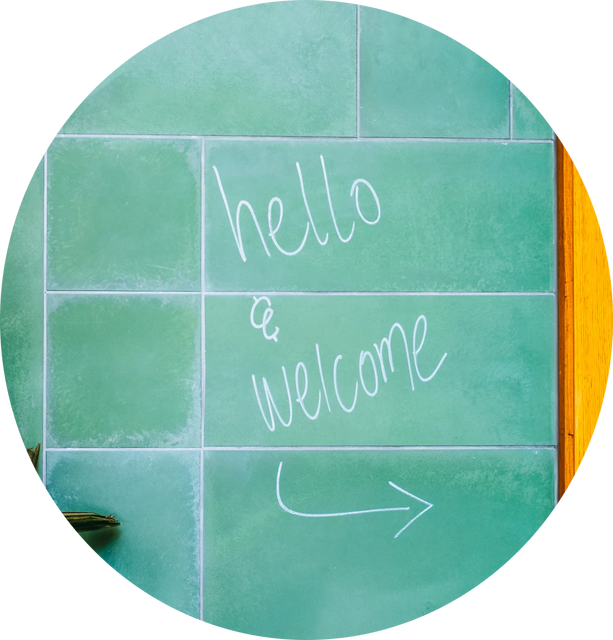 At first glance, it seemed like Emory's home life was easier and maybe less stifling than Hannah's, but we eventually discover that she had her own issues that she couldn't share. For spoiler reasons, I won't reveal what they are. Much of Emory's story was tied to her boyfriend, Luke's. After an accident nearly kills Luke, Luke's change in attitude and Emory's desire to go back to how they were before the accident, causes strains in their relationship. Luke eventually found solace in religion and this seemed to affect Emory. Luke and Emory's relationship was one of the highlights of Little Do We Know for me. Their relationship was positive and genuine and even when they had issues, I never stopped believing in the power of these two to strengthen each other. Hannah also found a love interest in the book and that relationship I was not a fan of. She began a romance with her music/choir teacher and though, by the end of the book the relationship ended, I felt like it wasn't handled with care. In my opinion, the other should have shed more light on the power imbalance and the impropriety of the relationship. All in all, this was a lovely story about friendship, love and religion. I recommend this one to any YA reader. Do you like second-chance romances? What are some of your favorites?